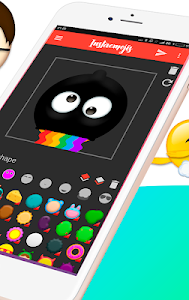 The best Emoji Maker ever, make stickers easy with the new Sticker Maker, create your best animoji, design and create new Emojis. Always the same Emoji or Sticker? Can you imagine create your own emoji? with Emoji Maker you can create your Photo Emoji 100% free! 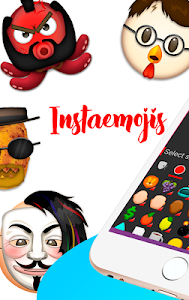 ‣With this Emoji Maker you will be able to make an infinity of Stickers for Google Keyboard 100% free of charge ?, Whenever you use your Emoji, Sticker, Animoji , Stickers for Messenger, Sickers for Google Keyboard, Animoji for Facebook or fun Animoji for Instagram.? 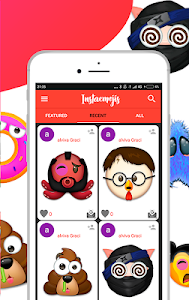 You will be able to make and send your personalized Emojis expressing your feelings and creativity through these fun. ‣With Emoji Maker you will be able to create love stickers ❤️ heart, animal stickers ? unicorn, pug, original emoji and stickers pizza, android, scary stickers ?alien different and unique Emojis ?. 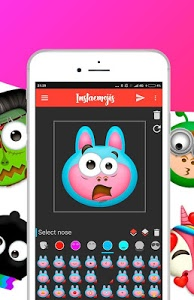 ‣With Emoji Maker create our own emoji with the famous unicorn Emoji, Star Emoji, the fun ghost emoji or with many other Emojis that are different and original in this App. 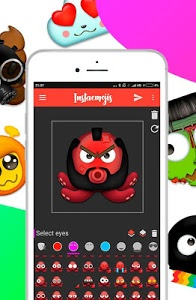 Use the little Emojis to decorate photos and give them a personal touch assign? to your contacts ?. Starting now there will be more than enough ways to express everything you want through your favorite emoji. 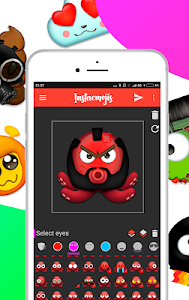 Get now the best Emoji Sticker Maker & Emoji Maker what you can find! ‣With Emoji Maker you will be able to create your Animoji whatever way you like, you will be able to add hundreds of accessories to it: from punk hair to colored hair; heart shaped eyes, purple eyes, sunglasses or colored glasses, hats and caps of all kinds, mouths with or without teeth, carnival masks or hippie headbands, even hipster beards or mustaches, feet and hands and so much more…. There are thousands of possible combinations. So what are you waiting for? Start having fun and build some Emojis! with the Emoji Sticker Maker ? 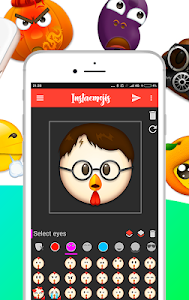 ‣Once you’ve build your emoji, you can save it in your photo gallery and make your own collection of Stickers ? and share easily with WhatsApp WAStickerApps for free. Get fun with Emoji Sticker Maker?. ‣Emoji Maker has an Animoji Community ? where you may register easily and quickly and where you will also get to share your best Stickers with the whole Emoji Sticker Community. In this community you will see other user’s emojis and you can upload the ones you like. Amazing, right?? 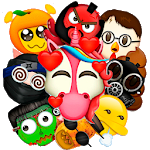 ‣With Emoji Maker you can make your own stickers for WhatsApp WAStickerApps . Finish your Facebook publication with a fun emoji or sticker. Make your Messenger and WhatsApp WAStickerApps conversations more enjoyable with funny stickers, different stickers and original ? Emojis. 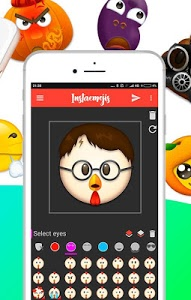 Build emojis for Snapchat and publish pictures to Instagram with these little Emojis. 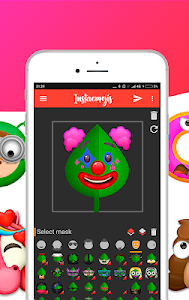 So now you now, download the best emoji sticker maker app for Android that you will ever find ? ‣With Emoji Maker don’t wait any longer and start creating your stickers for Messenger ?. We guarantee that the emojis you create will lack nothing over the ones. Theirs will be boring next to yours. So start using this great App and create great stickers. Bored Emojis of your smartphone, Emoticons, and stickers as always? Design your own Emojis now and share them with your friends or in the community! - Saved now in HD. Similar to "Emoji Maker - Create Stickers, Emoticons & Emojis"